Midwest Netting Solutions, LLC supplies and installs custom wall, steel beam column, and rail padding for volleyball, basketball, baseball, golf and multi-use facilities across the country. 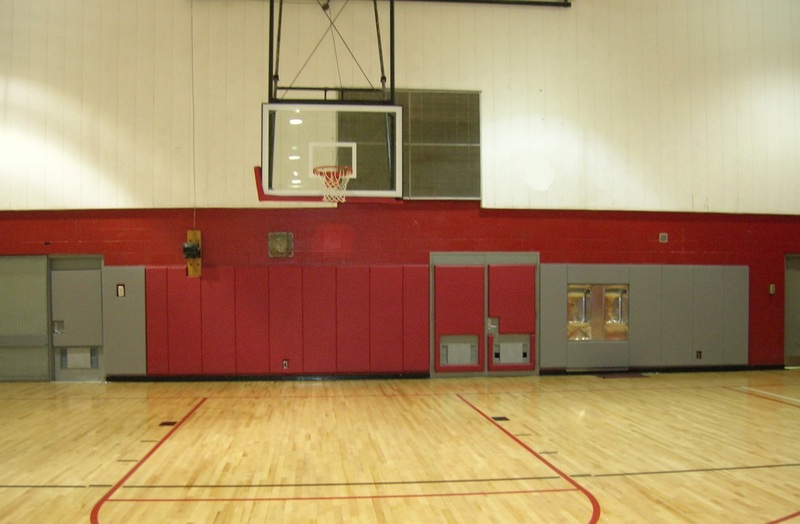 We provide wood backed pads, as well as, vinyl enclosed foam panels designed for indoor and outdoor fencing applications. 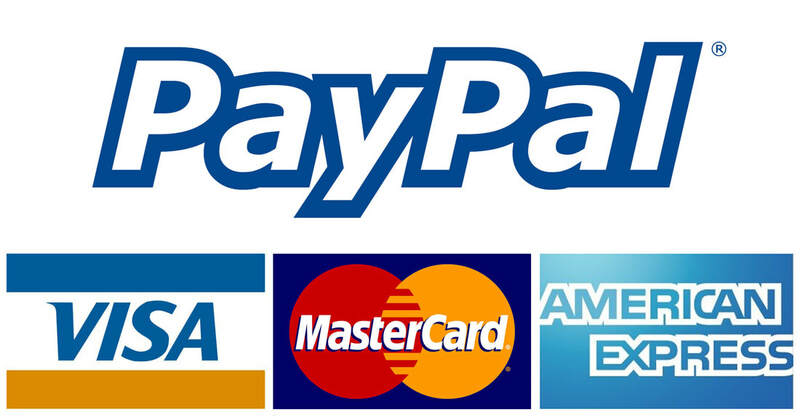 We offer screenprinted custom graphics in any dimension. Let Midwest Netting Solutions, LLC design a custom padding system to meet your specific needs. Within the last year, Midwest Netting Solutions, designed and installed a backstop and foul pole containment screen systems for Impact Field. Impact Field is a baseball park in Rosemont, Illinois. 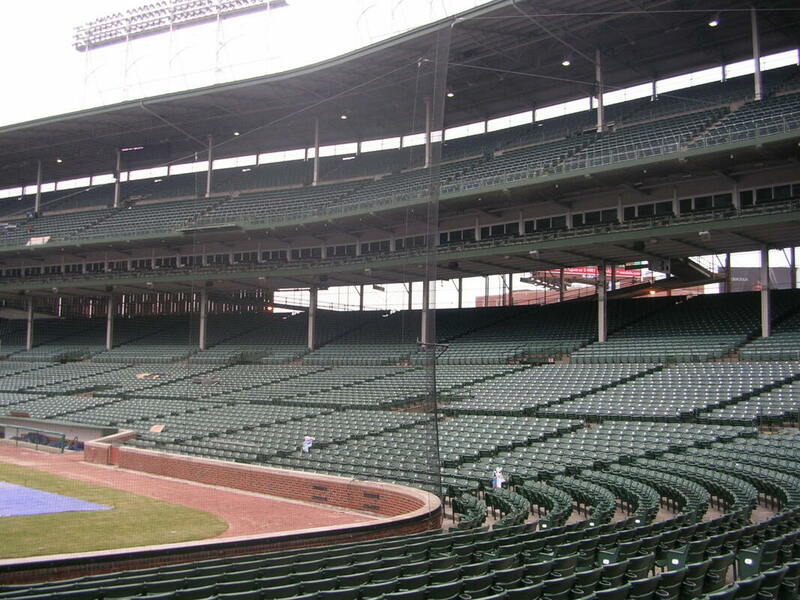 It is the home of the Chicago Dogs, an independent league baseball team playing in the American Association of Independent Professional Baseball. It opened in 2018, and seats 6,300 people. Maybe it’s the Chicago work ethic, but our goal is to create the best ballpark experience in the United States, period. Welcome to our world-class ballpark, Impact Field. Located in the heart of Rosemont’s vibrant entertainment district near O’Hare Airport, Impact Field is a $63 million development. With 6,300 seats, 7 private seating experiences, a 360 degree open concourse, and 850 stadium garage parking spaces, you can enjoy the game at a ballpark that enjoys you back! Midwest Netting Solutions, LLC offers a full range of products and services for the athletic industry; from custom fabricated materials to turnkey design and installation project management. Our capabilities include protective systems that prevent injury to athletes and bystanders. From the initial consultation to the final touches of installation let MNS and their years of experience help make your facility the best it can be. At least for one inning, Cubs fan Naila O'Connell was in baseball heaven at the home opener at Wrigley on Monday — the first she'd ever attended. But she was hit in the face by a foul ball off the bat of Anthony Rizzo in the second inning and had to be taken to the hospital, where she was treated for a broken nose. "We were all standing up looking and it seemed like the ball took a turn, and next thing I know, I'm gushing blood," O'Connell said. She's 5-foot-2 and had figured other fans would catch the ball. Matt ByrneHer husband and other fans tried to help O'Connell as her nose gushed blood. "She was calm. I was the panicky one," Jim O’Connell said. Paramedics took her from her seat in Section 104, near left field, to Illinois Masonic Hospital, so Naila O'Connell missed the rest of the 10-0 victory over the Pittsburgh Pirates. She said she's been told she needs surgery after the swelling goes down, but still considers herself lucky: "It could have been worse." Major League Baseball extended protective netting at all 30 ballparks for the 2018 season, after a girl was hospitalized by a foul ball at Yankee Stadium in New York. O'Connell didn't catch the ball that hit her, but she ended up getting it anyway, after someone else caught it and gave it to her, she said. "I would love to have this ball be signed by Rizzo. That would be amazing," she said, adding, "I'm Cubs for life, this wont change anything." PITTSBURGH -- It's not exactly the Steel Curtain, but it's close enough. 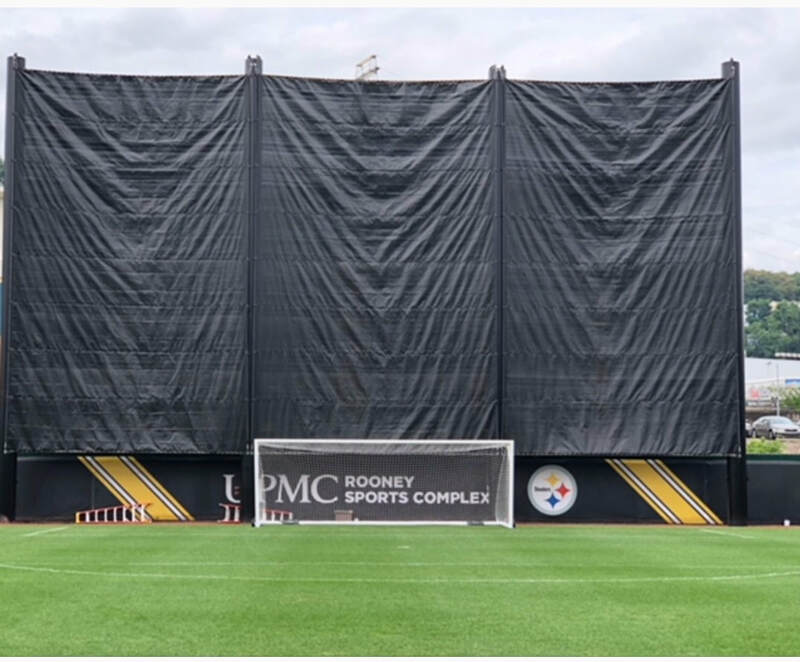 The Pittsburgh Steelers upped their spy-prevention game for this year's practices by building a giant wall structure to cover one of their three fields. Four black pillars about two stories high face an adjacent office building on Pittsburgh's south side, and for practice sessions the team can raise an attached giant black tarp. Coach Mike Tomlin playfully addressed the sudden quest for privacy during his news conference Thursday. "I'll leave that somewhat mystical for you guys to hypothesize about the origins of that and its use, and at some point we'll address it the right way," said a smiling Tomlin, whose Steelers play the Tennessee Titans on Saturday in Heinz Field. "I know how it is, man. This is interesting times, drones and so forth. We do what we've got to do to prepare and get ready to play to have a level and fair competitive playing field." Asked if he ever wonders who's watching from the office buildings in plain sight (which includes an FBI branch), Tomlin said, "I wonder about a lot of things. Some of the questions I get in here, I wonder about." Tomlin isn't alone. Tight end Jesse James said he once saw a drone over the river during a practice, which he found "kind of sneaky" but had no idea whether other NFL teams were involved. "You always have dudes out in the parking lot, and you don't know really where they are from and they send security out," James said. "It's not something you really notice while you're practicing, but if the defense is out on the field going against the scout team, you can see stuff going on." The team's complex is situated between the Monongahela River and East Carson Street, which is fairly commercialized. Steelers practices are open to local media covering the team every day, but reporting on happenings is prohibited unless a player confirms a specific action. The facility, which the team shares with the University of Pittsburgh football team, includes at least four fields.